Handmade Tibetan Buddhist Turquoise OM Pendant Sterling Silver Pendant. 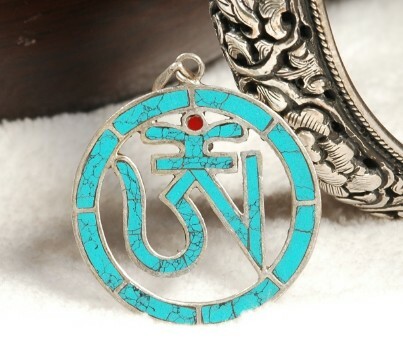 This om pendant was handmade in Tibet from turquoise and sterling silver. Size: 29mm * 29mm. Weight:16g.